They sustained wounds on combat assignments. Three Ukrainian servicemen have been wounded "while on combat missions", not as a result of 25 shooting attacks by the Russian occupying troops, the antiterrorist operation (ATO) HQ press service has said in its evening update on Facebook. 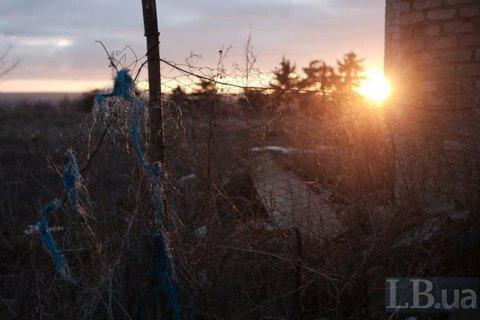 In the Luhansk sector, the enemy twice used 120-mm mortars and grenade launchers near Troyitske, once 82-mm mortars near Popasna and three times near Novooleksandrivka. It targeted the Ukrainian army's positions near Novozvanivka with grenade launchers and heavy machine guns. In the Donetsk sector, the militants fired with 120-mm mortars, banned by the Minsk agreements, near Vodyane, grenade launchers and small arms near Verkhnyotoretske, Vodyane and Hnutove, heavy machine guns near Pavlopil and small arms near Talakivka, Lebedynske, Nevelske, Maryinka, Pavlopil and the Butivka mine.